If you are like me you really like to look after your phones. Sure, you may switch up devices every 6-12 months but you still like your phone to look like new the entire time. In the past I have always bought screen protectors from eBay. Never again. 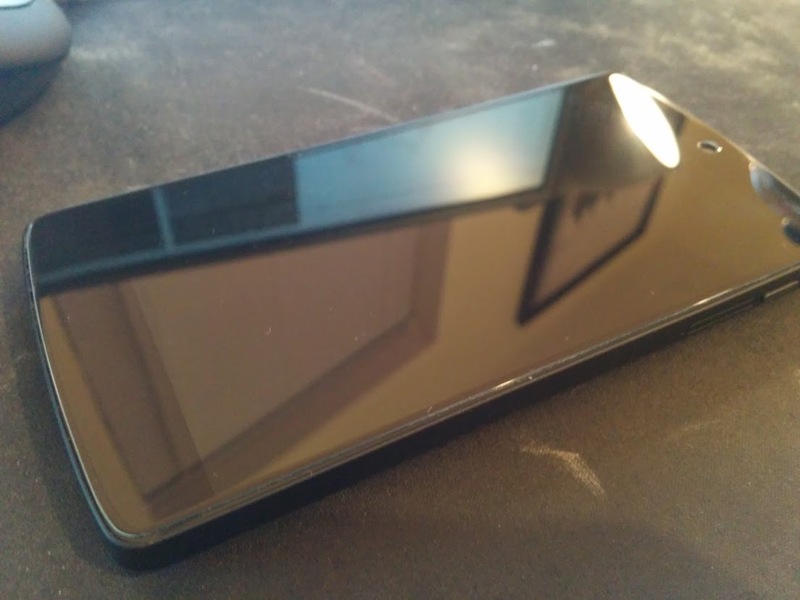 The screen protectors from ebay are often ill-fitting, difficult to install and quite honestly feel and look like crap. There is no screen protector solution that compares to the experience of using a bare screen, or so I thought. After receiving protectors from eBay that had 3 cutouts for the various holes and sensors at the top of the screen I bought a semi decent one from a reputable company. 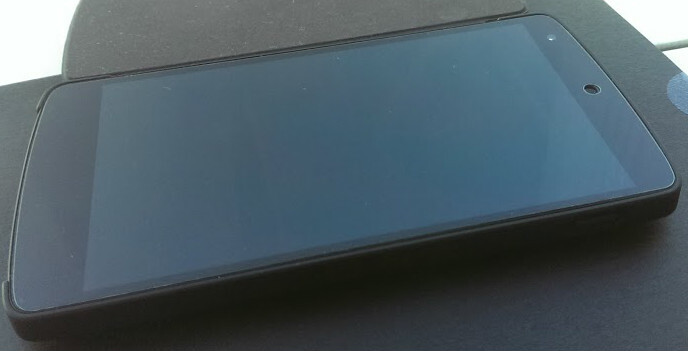 Within a few days the screen felt greasy and not slick and smooth like the glass of a bare screen so I decided to investigate another solution (plus there was a speck of dust right in the middle of the screen). 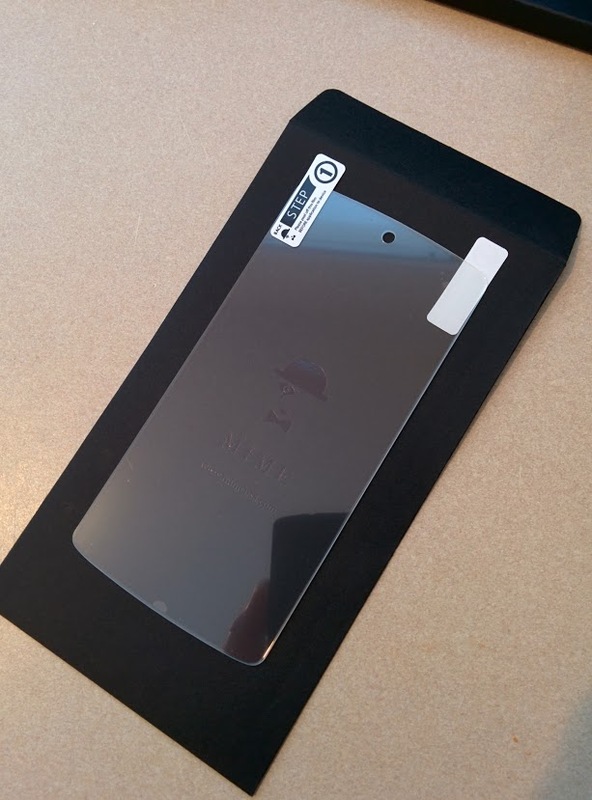 On my usual daily scouring of Google+ I came across a post by CyanogenMod developer Keyan Mobli about a tempered glass screen protector he received from MimeUSA. Not only does the tempered glass protect your screen from scratches it can also protect it from being shattered in the event of a drop. 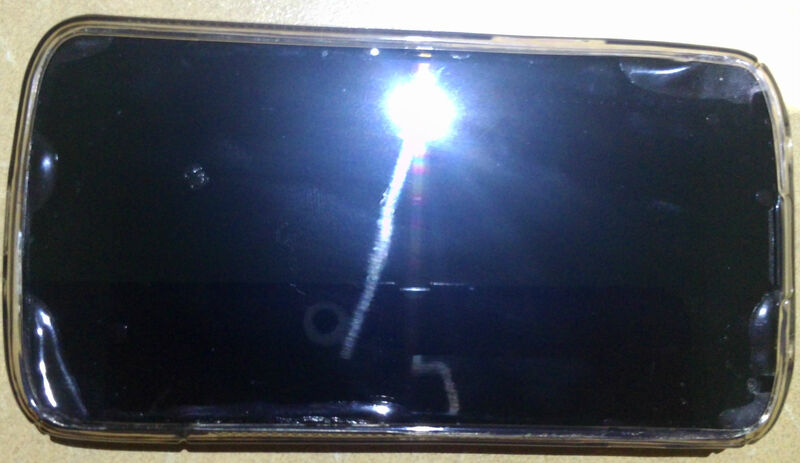 It will take the force of the drop, breaking the protector only, while the screen underneath remains untouched. The clarity of the Mime glass screen protector piqued my interest so I further investigated and found many people recommending it (I wasn’t the only one to buy upon Keyan’s recommendation- I have chatted with several others who have done the same). Not only does the tempered glass protect your screen from scratches it can also protect it from being shattered in the event of a drop. 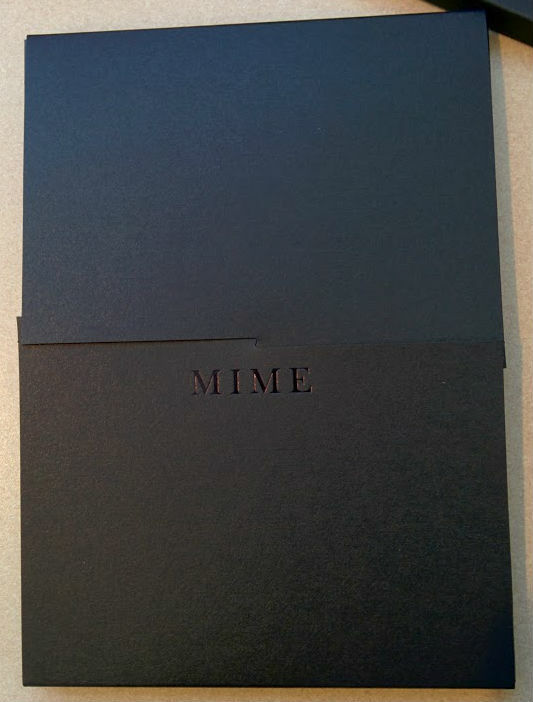 Mime also have a Lifetime Replacement Program where they will give you 40% off a replacement protector if your Mime protector “is damaged at any time and for whatever reason….no questions asked”. 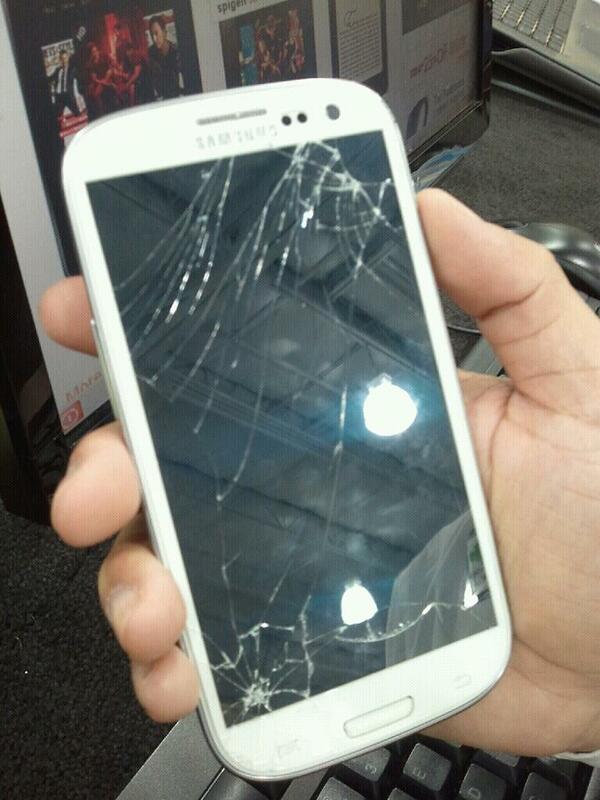 MimeUSA are glaziers based in New York who machine cut and lab test every single screen protector in New York. These are not cheap Chinese protectors. They don’t feel like it, they don’t look like it and they sure don’t cost like it. 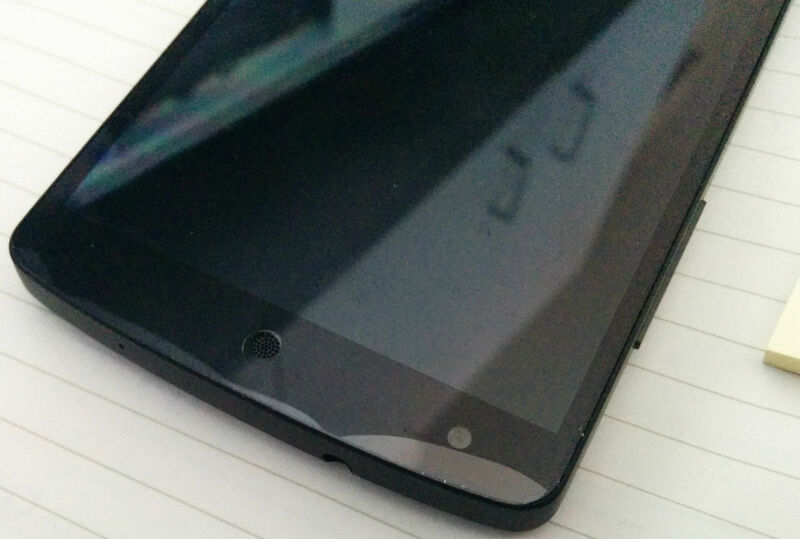 For the Nexus 5 there are two options, the Feather Glass and the Ghost Glass. The feather glass is only 0.15mm thick and it’s hardness rating is apparently similar to that of steel. It also comes with a fingerprint resistant oleophobic coating. Sounds great but from what I have read the square edges of the Feather Glass (well, from other brands that don’t have rounded edges) are more prone to chipping than one with rounded edges. It is for this reason I went with the Ghost Glass. 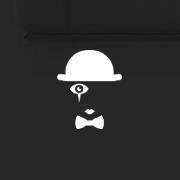 The Mime Ghost Glass is thicker than the Feather Glass at 0.3mm thick. It has the same hardness rating and fingerprint resistant coating as the Feather Glass but where it differs (apart from the thickness) is its rounded edges. Those who owned a Nexus 4 will know how good the curves edges of that screen felt while navigating through the operating system. This sold me on the Ghost Glass. $35.55US later the screen protector was on it’s way to my house, where it sat on top of the TV cabinet for two full weeks while I worked up the courage to install the expensive screen protector. Stuff this one up and it’s not just a cheap $2 eBay one you can throw in the bin without thinking about. 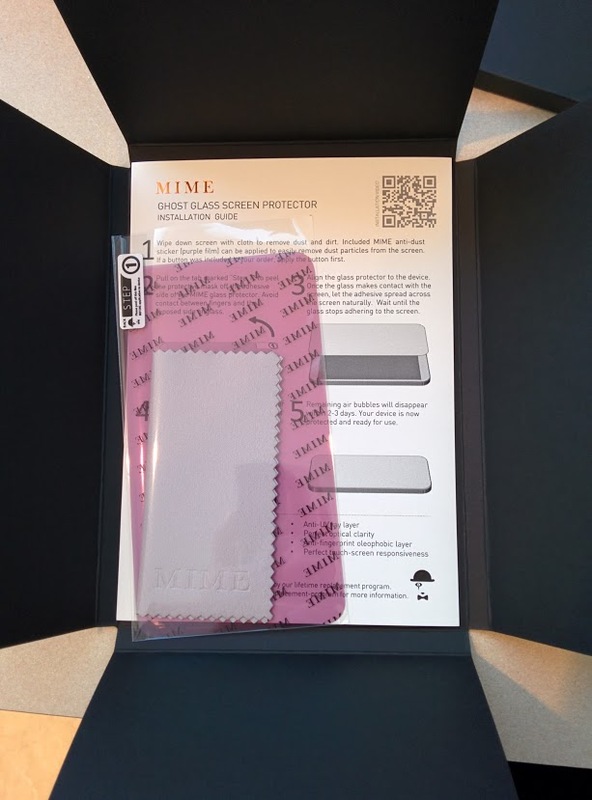 The protector itself comes in a very classy-looking box which has another folding box inside which houses a purple sticky film to remove dust, a good quality cleaning cloth, installation instructions and inside yet another classy-looking envelope, the screen protector. This finish gave me quite a bit of confidence in their product before even installing it. After reading many success stories about installation I followed every rule in the book for a successful, lint and dust-free install. I steamed up the bathroom, allowing the steam to settle all the dust. I removed my shirt so no lint from that got onto the screen. I washed my hands meticulously and I moved with slow deliberate movements so as not to disturb any dust. I watched several YouTube videos on how to install their protectors successfully and the install went off without a hitch. The editors here at Ausdroid wanted me to video it myself but I couldn’t handle that much pressure, plus I was thinking their may be a few too many bleep edits from my language if something went wrong. So now that it’s on how is it? “Wow!” is all I can say. The fit of the screen protector is absolutely perfect. Millimetre perfect right to the edge of the screen. Not like many of the cheap Chinese eBay ones where they don’t fill the entire screen. This one is amazing. 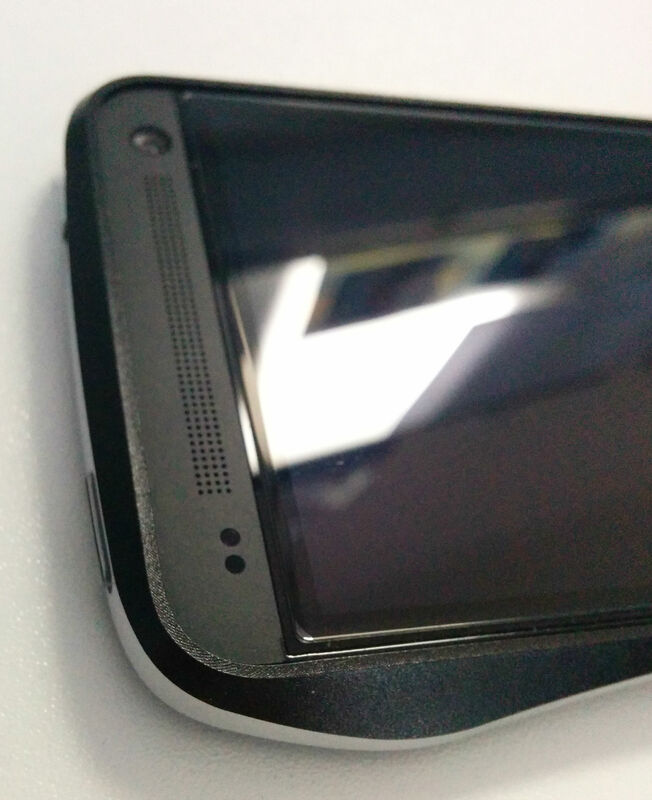 It only has one hole for the speaker, none for the front facing camera or the proximity sensor. Neither the camera or the proximity sensor are affected by this. Both continue to perform as prior to the installation. The phone is ever so slightly thicker now but it isn’t noticeable in my opinion. I held it next to a friend’s Nexus 5 and we really couldn’t tell the difference. It’s thinness and perfect fit make it seem like it is just part of the screen. The clarity of the protector is perfect. 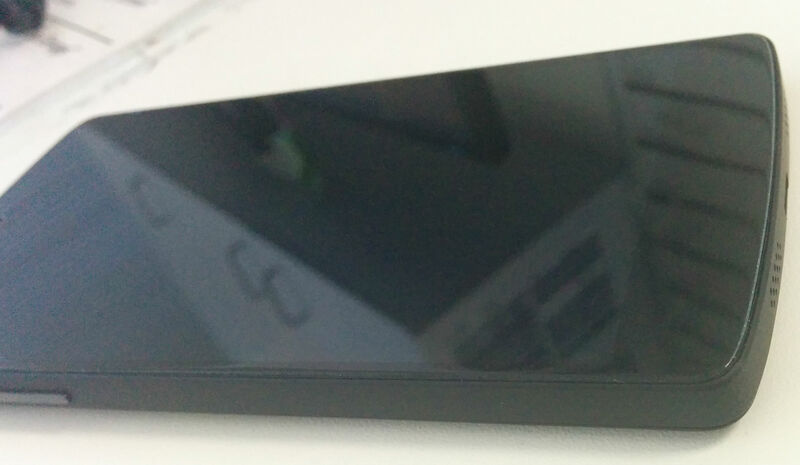 It is extremely clear and reflects and acts just like the stock screen of the Nexus 5. 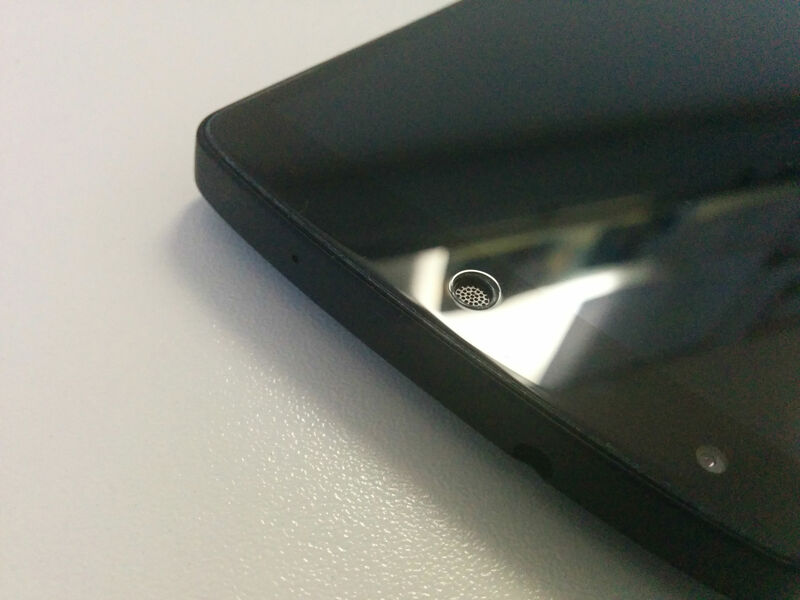 Fingerprints very occasionally do show up on this device (unlike the cheaper protectors where they are almost always there) but are very easily wiped off. The cloth that came with the protector is perfect for that. But how does it feel? Amazing. Better than the original screen without any protection if that is at all possible. The curved edges add a premium feel to the screen. 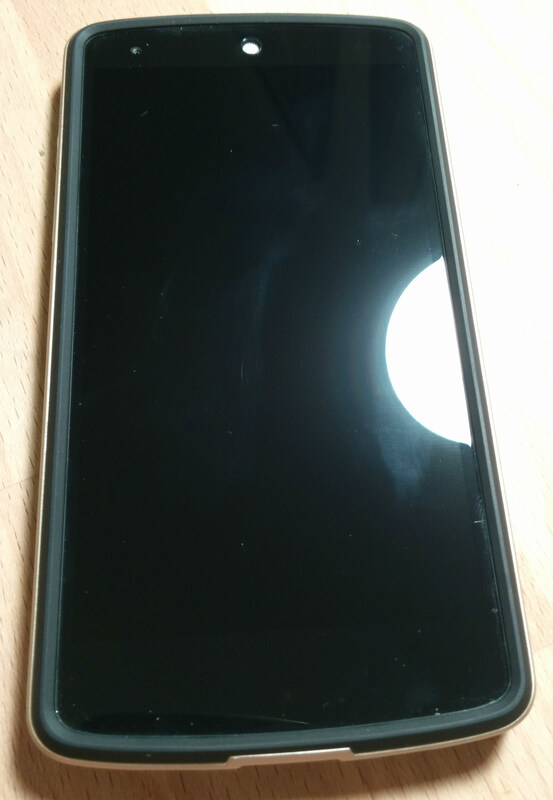 Previously I felt the edge of the Nexus 5 screen to be a bit sharp and not as smooth as the Nexus 4 experience but this Ghost Glass remedied that. 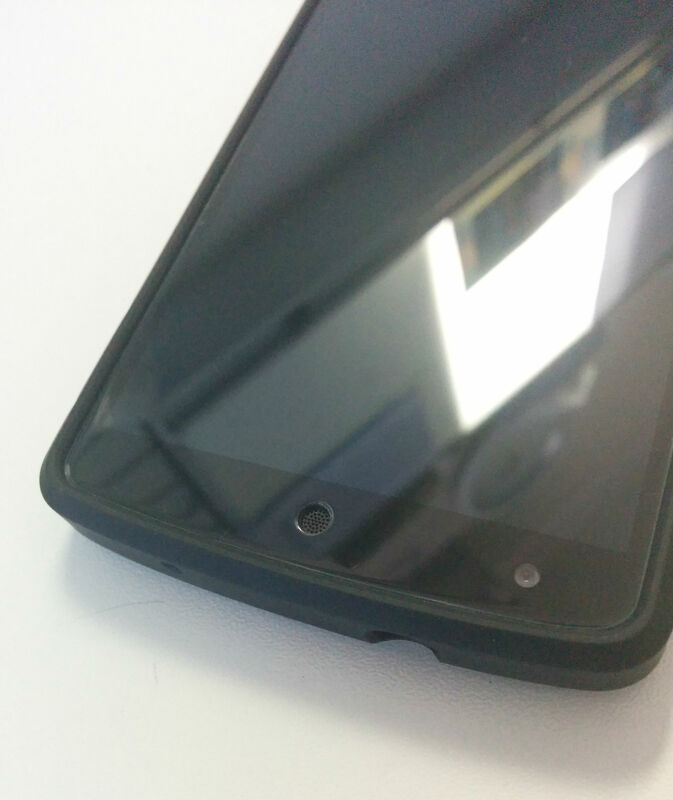 The edges of the protector are perfectly to the edge of the Nexus 5 screen but do not affect any of the cases I have applied to it. I have seen other tempered glass installations on other phones (HTC One) and while they looked good their cut wasn’t as tailored as this one and they also seemed thicker to me. While I cannot comment on other tempered glass screen protectors but I can say that this one is worth every penny. After using this Mime Ghost Glass tempered screen protector I can honestly say I will never go back to using a cheap eBay screen protector ever again. That is how impressed I am with it. While it might be expensive this product follow the old adage of “you get what you pay for”. If the phone I buy is supported by Mime (support is limited most likely due to the time consuming manufacturing process) then I will be forking out the extra money to buy their product. Every phone will most likely cost around the $500 mark so why protect it with a $2 protector which compromises both the look and feel of the screen? The $US35.50 I spent on this protector I consider money extremely well spent and would definitely do it again, without any hesitation at all. 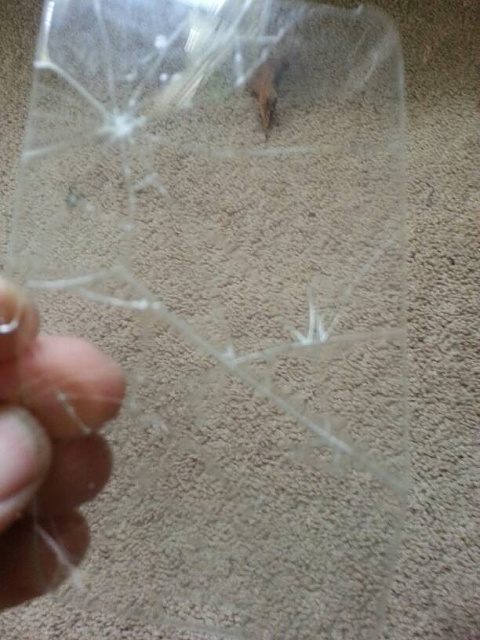 Would you buy this or any other glass screen protector? Do you have any experience with glass screen protectors? 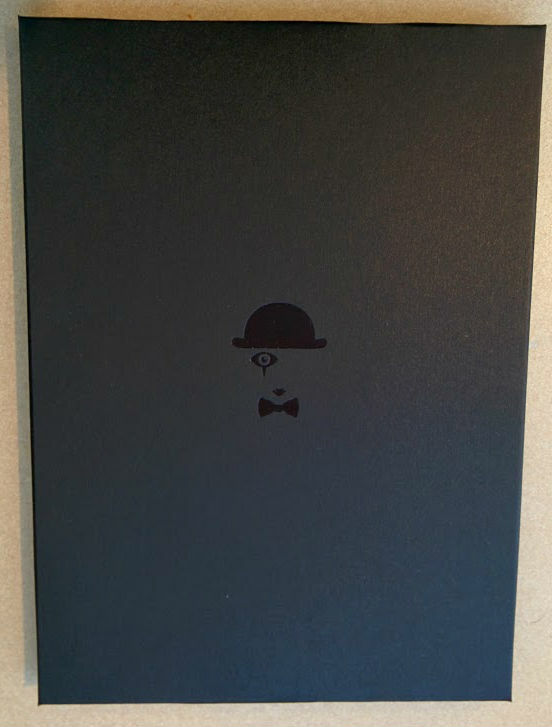 Thanks: +Amon Ra, and +the1dynasty. Great review, maybe include shipping wait time estimates? Took nearly a month to receive a case from the USA. Took about a week to 10 days to arrive..
Other brands include one by spigen which had issues on its first run but apparently they think they’ve fixed that now and there is another that gadgets4geeks sell but that one has 2 holes. I didn’t want holes I didn’t need. 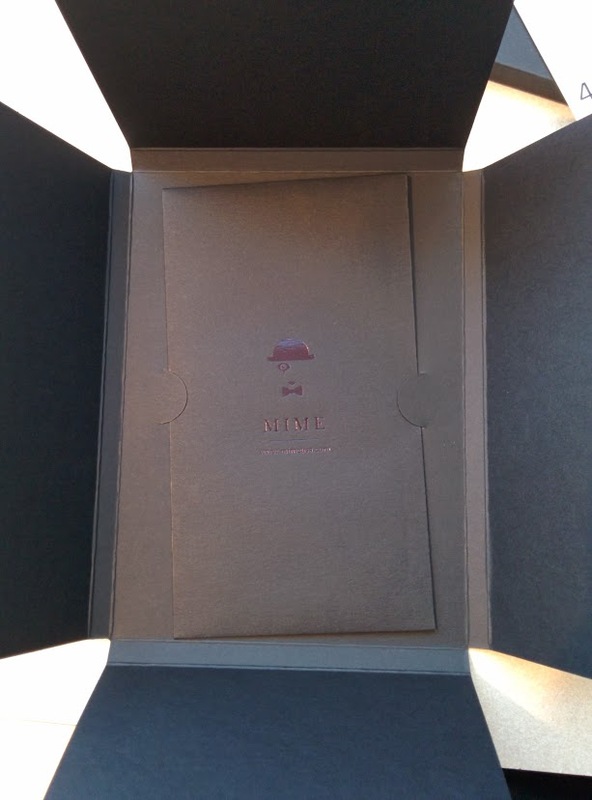 ATM, the only annoying thing I could say about Mime is they don’t have any products for the LG Nexus 4, which, with its glass back, could have really done with Mime’s products. All you do is complain. Has anything made you happy, other then a cheese burger? I doubt it’d be very good on the Nexus 4 due to it already having a curved screen so the fit may not be as good if they did have one. 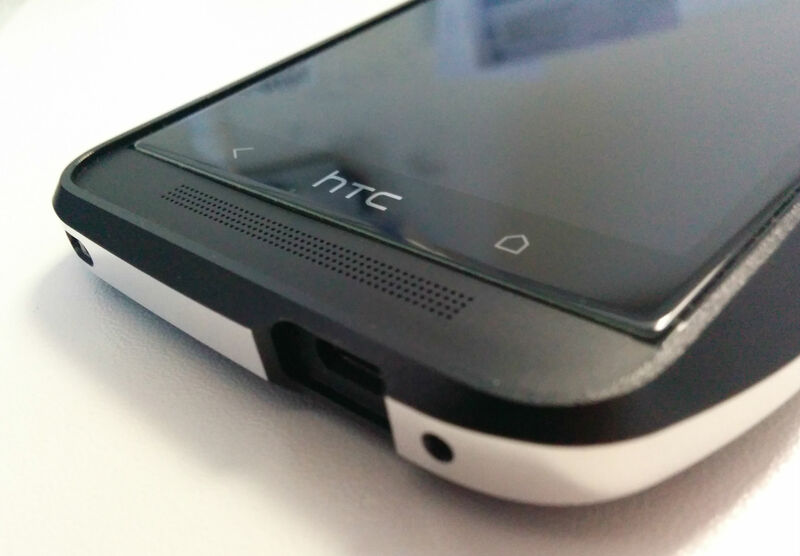 Didn’t think about the Nexus 4 having a curved screen, causing problems with fitting the protectors. 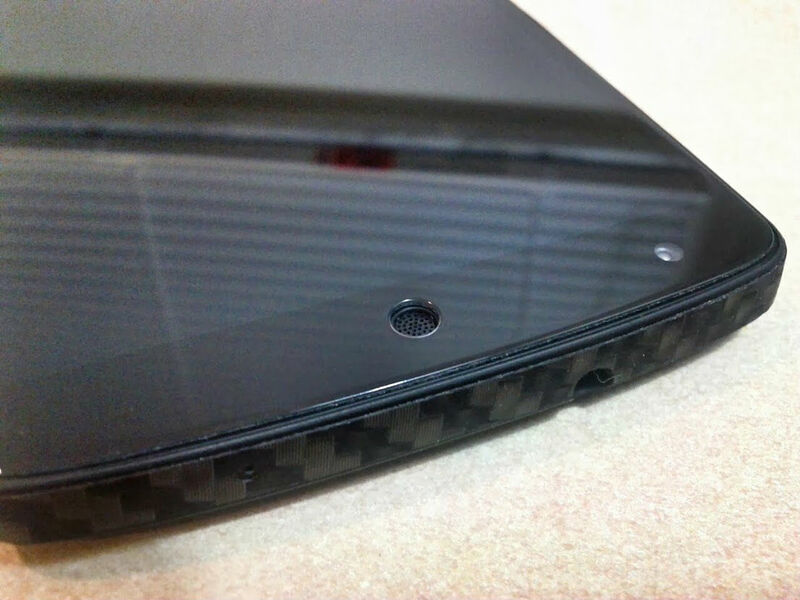 Yep, wish they had protectors for the Nexus 4! I’m on my second glass screen protector now for my S4. Mine’s from Mongrel Phones (an Australian company). Quality is literally 11/10. Will never go back to plastic unless I’m forced to. Some of the guys here at Ausdroid got their s4 ones from mongrel (great name Btw) and they love them too. 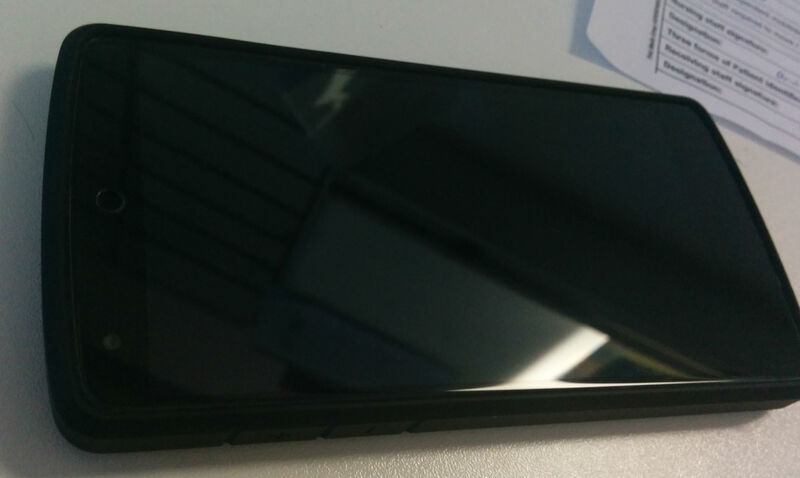 Mongrel didn’t have a Nexus 5 one when I ordered this one. The only thing that worries me more than installing glass protectors is removing them. Anyone had experience with this? Never done it but seen it done on you tube and also seen people talk about it. Not too hard apparently. Just a matter of getting a fingernail or something under it and lifting it up. I removed my first glass protector after I got a small crack in it. It’s just as easy as lifting up a plastic one. Get your nail under it and it just comes up. The early spigens had issues which is how many people found mime. They got their refund from spigen and spent it on mime. I’d buy this one for sure. I love articles like this; it’s great to get non-partisan product reviews. I’ll seriously consider getting one of these.